Rosco took a little taste of the snow. 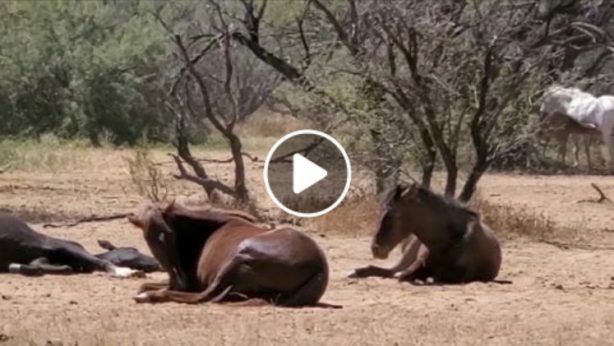 Theres something weird about a Salt River wild horse in snow, but turns out they like it! 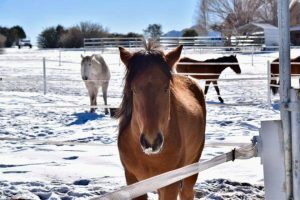 Rosco, our very first Salt River wild rescue, now almost 3 years old, says thank you to all of his sponsors, without whom he could not continue his luxury lifestyle! 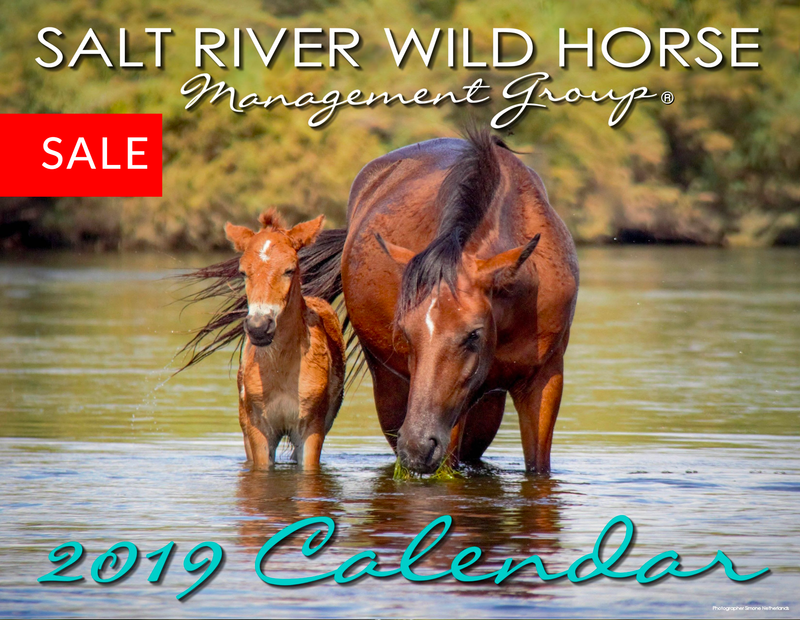 Have you considered sponsoring a Salt River wild horse in someone’s name for a present? Or in your own name for your new years Resolution of making a big difference? It’s easy and fun! 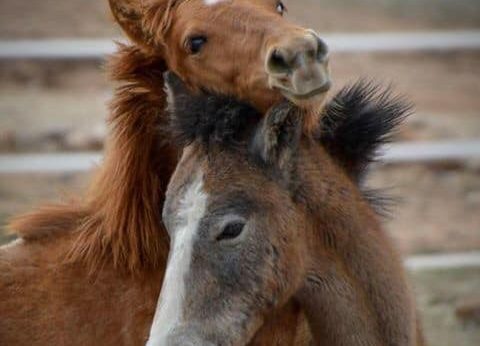 In 2019, we are going to have a big sponsor party where sponsors get to meet and hug their horses!